BetVictor has over 500,000 customers in more than 160 countries, with operations in Europe, UK and the Far East. The company operates all day round! 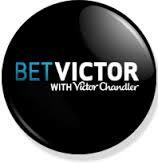 BetVictor works according to the laws of Gibraltar and UK with the headquarters located in Gibraltar. BetVictor has useful options which helps customers decide the payment way basing on the customers’ location. This information is provided in the “Banking Help” section on the BetVictor home page. DEPOSITS - working in 160 countries the company is very good at administering accounts and funds in many currencies. Customers may create their accounts at BetVictor in GBP, USD, Hong Kong Dollars, Singapore Dollars, Euros, Japanese Yen, Korean Won, Australian Dollars, Swiss Francs, Danish Kroner, Norwegian Krone, Swedish Kronor, Romanian Lei, New Zealand Dollar, Taiwanese New Dollar, Chinese Renminbi and Thai Baht. The minimal stake at BetVictor’s for multiple bets accounts for USD:$0.09 Currency is equivalent and applies for the other currencies. For single bets the amount of a minimum stake is Ј1. Generally customers can withdraw their winnings via the method they deposited. BACS (UK), Bank Transfers. The amount of maximum online payout accounts for Ј100,000 for one customer per day. It is a big advantage if compared to other bookmakers. BetVictor provide a Sven’s Inside Track Offer: (for newly registered customers from the United Kingdom, Ireland and Gibraltar). According to the conditions the customers may get £25, if they bet £25. In addition they will be given £5 extra along with 10 free casino spins. If a customer places his first bet of up to £25and they can match it 100% and a free bet. For this the customer must deposit his first bet within one month after creating the account. Free bets must be applied within 30 days not to expire. 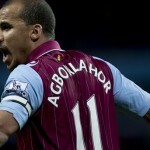 Also BetVictor regularly offers pleasant Cash Back and Free Bet specials. They are generally only on First Scorer bets and Late Goal insurance. New offers provide a 10 per cent bonus on NFL parlays as well as refunds on losing 5-fold bets with one loser only. All popular sports including football matches, horse racing, golf, greyhound racing, cricket, rugby, snooker, NFL, NBA, NHL, college baseball and football. Imagine a punt on Scandanavian Bandy? They are good in-running betting and reasonable Asian Handicap football odds.